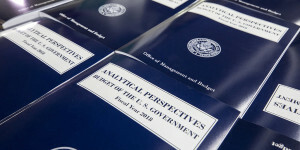 In presenting the Trump administration’s budget for FY 2018 and beyond, Office of Management and Budget Director Mick Mulvaney claimed that this budget is a ‘taxpayer’s first’ budget, meaning that it was formed to meet the priorities of the American taxpayers, consistent with President Donald J. Trump’s repeated affirmations, during the campaign and in his inaugural speech, that this administration would be directly guided by the people’s priorities. However, the president’s budget, like his earlier ‘Budget Blueprint,’ is remarkably out of step with the public’s priorities as revealed in various surveys conducted by the University of Maryland’s Program for Public Consultation (PPC) and other organizations. The most dramatic feature of the president’s new budget is the sharp cuts in spending on poverty programs especially to SNAP benefits (more commonly know as food stamps) and Medicaid. Such programs are sometimes presumed to be unpopular with taxpayers because they benefit a minority of Americans. However, when PPC presented respondents with the average SNAP benefits for the average recipient living alone, 81 percent (including 66 percent of Republicans) proposed raising the benefit, with the majority raising it by 43 percent. The Medicaid expansion program under the Affordable Care Act is a major target of the Trump budget. However, 64 percent favor Medicaid expansion for their state, including 62 percent in the states that have not accepted it. Support among Republicans was lower, though, at 43 percent. Proposed spending levels in the Trump budget are equally out of step with the budget that a large representative sample of voters made up when they were presented authorized discretionary spending levels for 2017 and allowed to make their own budget. While majorities did concur with Trump’s proposed cuts to subsidies to agricultural corporations, they did not agree with his cuts to education, medical research, pollution control, public housing, or the size of his cuts to the State Department and AID. They did not agree with his increases to military spending (preferring a $39 billion cut to a $54 billion increase), or to increases to Veterans affairs and homeland security. Perhaps most striking is the gap on revenues. Large bipartisan majorities do agree with his proposal to repeal the ‘carried interest’ provision that allows investment fund managers to have their income taxed at a preferential rate. But his proposals to eliminate the estate tax or to give owners of pass-through-entities a preferential rate are rejected by more than six in ten in both parties. While Trump has called for reducing corporate taxes and taxes on capital gains and dividends, majorities (though not a bipartisan ones) favor modest increases. Trump has called for cuts to income taxes for higher earners. But nearly two thirds of voters (including a slight majority of Republicans) favors at least a five percent increase in the effective tax rate for incomes over $200,000. The survey on the federal budget was conducted March 8–16, 2017. The sample of 1,817 voters was provided by Nielsen Scarborough from its sample or respondents, recruited by mail and telephone using a random sample of households. The margin of error was (+/-) 2.3 percent. The survey on federal poverty programs was conducted November 11–December10, 2016. The sample of 7,128 voters was provided by Nielsen Scarborough from its sample or respondents, recruited by mail and telephone using a random sample of households. The margin of error was (+/-) 1.2 percent. The public release of the full PPC survey results on federal poverty programs is forthcoming. May 24, 2017 in Federal Budget, United States.